The pair have not spoken since Gary's act, Carolynne Poole, was booted off the ITV talent show following a controversial "deadlock" situation on Sunday night which saw the Take That star storm from his seat. He was angered by Carolynne's departure, which came as a result of Louis's indecision, with the public vote saving Rylan Clark instead. On Tuesday night, the two men attended a pre-arranged dinner with fellow judges and other figures from the show. But despite hopes that they would use the occasion to bury the hatchet, they instead avoided each other and did not speak. Gary has already voiced his frustration with a message on Twitter on Monday in which he told fans "been hard to get motivated today", in the wake of his act being axed. 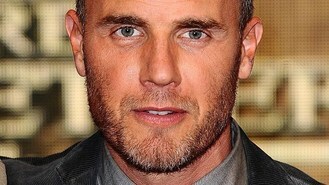 There have been suggestions that Gary has threatened to quit if a similar situation arises in the future. A source said of the dinner: "Everyone was hoping for peace talks between Gary and Louis but they sat at opposite ends of the table and didn't speak all night." There had been reports that Louis was ordered to force a deadlock situation by show bosses after producer Richard Holloway was seen whispering in his ear shortly before he failed to choose which of the two acts should be saved, pushing it to the public vote. But the producer went on to say that executives never interfere in the voting, saying: "We don't tell the judges how to vote and, as you saw on the show, Louis hadn't - and couldn't - make up his mind so he decided that sending it to the public vote was the fairest thing to do." A spokeswoman for the show would not comment on the meal.